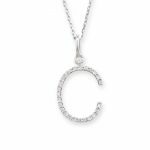 I recently bought a diamond ‘c’ pendent for a girlfriend who just had a baby boy named ‘c’ooper. She absolutely loves it. The pendent was everything I was hoping for. I found your company online and made some enquiries with a lady called Charlotte. Fantastic customer service.Even better that you shipped to Australia. 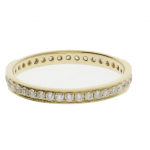 I bought a rose gold eternity ring; a complete band with tiny diamonds set all round it. The ring arrived promptly, was very well crafted and presented, the website was easy to use and the service I received was excellent. Would thoroughly recommend London Road Jewellry on all fronts. The ring is always much admired and I am delighted with it. Your website is one of the best I have seen, very easy to get around and lots of options to view your gorgeous products by different collections and designs. I love your jewellery! 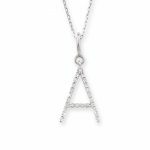 Diamond letter A pendant – This is an absolutely beautiful necklace which is both classy and delicate- extremely happy to recommend this for any lady. 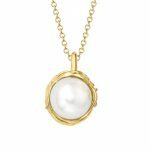 Yellow gold cultured freshwater pearl pendant – The product was received very quickly and in excellent condition. This was a perfect gift for my partner as it was elegant and classical and she absolutely loved it. Great pendant and l would recommend it to anyone. 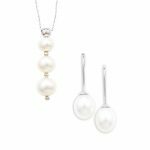 White gold cultured freshwater pearl earrings and pendant – The recipient(wife)was thrilled and delighted with the gift. 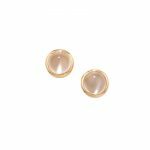 Rose gold moonstone stud earrings – Beautiful earrings, and beautifully packed! Many thanks. 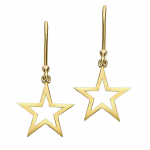 Yellow gold star drop earrings – The package arrived just in time. Thank you so much! My co-worker LOVED the earrings. 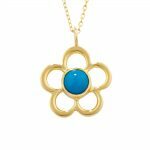 Yellow gold turquoise Blossom pendant – Thank you so much for getting the pendant and necklace off to me so quickly. It is a gorgeous design and your expertise in customer service is very much appreciated! The recipient will be delighted too! 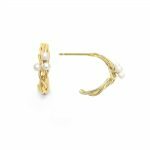 Yellow gold cultured freshwater pearl hoop earrings – They arrived on Saturday. Thank you for the prompt shipment. The earrings are perfect. 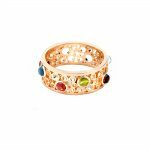 Rose gold multi gem Bubble ring – My wife just received the ring and she is overjoyed with it.Thank you.You and your colleagues have been absolutely brilliant and your customer care has been very satisfying! 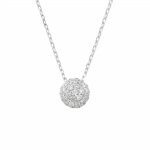 White gold diamond ball pendant – Wow that’s fabulous service, thanks so much for all your help! I just wanted to say thank you for all your help and assistance, and to ask that you pass on our thanks to your goldsmiths who carried out the work on the pendant. It is elegant in its simplicity and quite truly beautiful, Camille is delighted and I couldn’t be happier. Once again, many thanks – you have helped to mark the birth of our daughter in the most timeless and lasting way.